Join a top ranking brokerage that will give you the competitive edge you need. | Realty World Adams and Associates, Inc.
A real estate career with Realty World® Adams & Assocites is both exciting and rewarding. We constantly strive to innovate and develop new systems, tools and technologies to ensure the continued success of our company and our Members. Our brand suits those with an entrepreneurial spirit who are looking for a powerful but flexible business model to aid them in the growth of their business. Since its founding in 1973, Realty World® has grown to be one of the most recognizable names in real estate. We have approximately over 250 offices with Thousands of Associates in North America, South America and Mexico and South-eastern Europe. Our name opens the door and our agents close the deal. 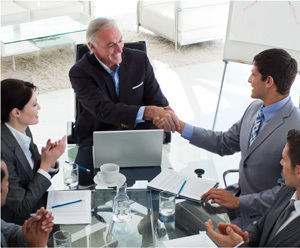 Marketing by Agent and Management by Accountability (MBA)™ Programs. These are exclusive programs for our Brokers and Agents developed by corporate trainers, professional educators and marketing experts. The MBA programs cover all aspects of the real estate business, from social media marketing to business etiquette and beyond. Workshops. We actively host in-person professional skills development workshops and training focused on new marketing techniques, legal and business developments and industry issues. Webinars. Providing new educational material through web-based seminars is a powerful way to share information and gives our Members a convenient way to keep their knowledge up to date. 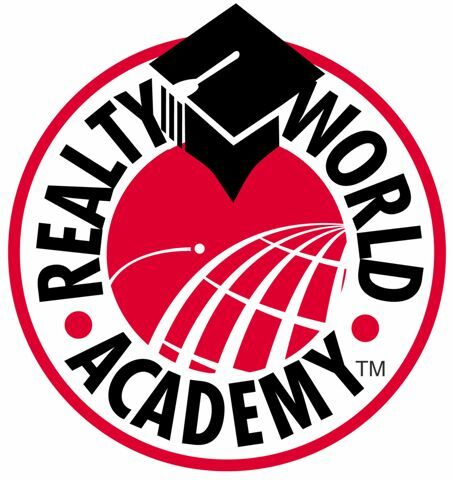 Realty World weekly webinars cover a diverse curriculum from professional skills development to industry issues and new developments in technology. No Agent Left Behind™. This program incorporates multiple marketing, support, educational and motivational materials developed to give Agents the tools they need to successfully market themselves in communities in which they live and work. The Realty World Insider is a complete virtual office system built to assist our Members in the operation and growth of their business. In this virtual office, you will find fully customizable marketing pieces, lead assignment and tracking, guides to the usage of all Realty World programs, audio and video archives, an interoffice e-mailing system, broadcast center, client management tools, HR management and more. We know the value of community involvement and work hard to instill this commitment to civic responsibility and participation in all of our Members. 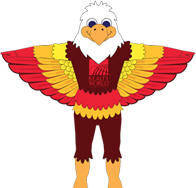 Our community ambassador Airica Eagle™ is designed to be a valuable tool that can be used to support the marketing initiatives of our offices or as a means of bringing joy to the community in which they live and work. The Lifetime Income™ Program is a unique revenue sharing system that compensates a participating Realty World Agent at the close of each qualified sale (regardless of overall brokerage profitability) – today, tomorrow, and beyond – all for doing little more than what they already do in the course of conducting their everyday business. With this program, Agents can share in the office revenues generated through the joint efforts of their own hard work and that of the other Agents they attract and mentor. Once Agents attract an outside Agent (“Direct Recruitee”) to join their Realty World office, they become a Team Captain. Team Captains mentor and coach their Direct Recruitees to help them succeed. Team Captains are immediately eligible to enjoy a portion of the Broker’s revenues once their Direct Recruitees generate closed sales. Team Captains are also compensated for revenue generated from other Realty World Agents that are recruited, coached and mentored by their Direct Recruitees (Indirect Recruitees) to their Realty World office – up to four generations worth! If you’re interested in joining our team or finding out more, simply call Sandy Adams at (859) 314-7878 for a career consulation.